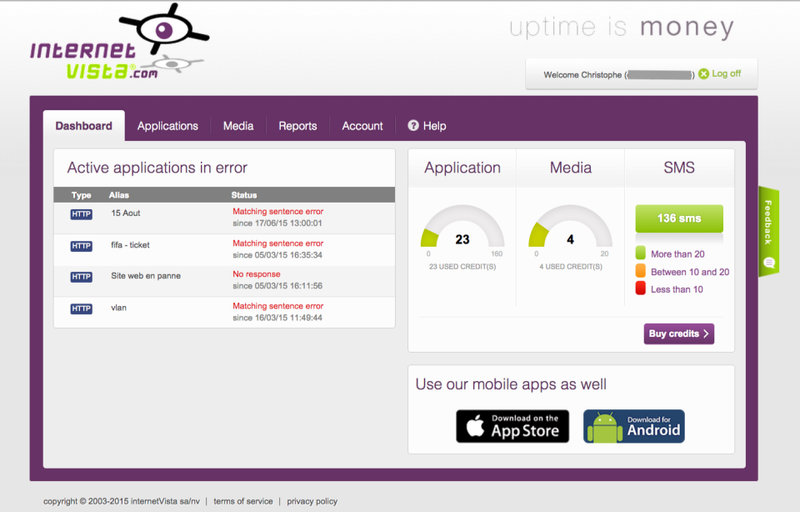 internetVista is an SaaS that monitors internet applications (web, API, applications). Comments: We, at Babelway, are a B2B SaaS company requiring extremely high availability and performance. We have been using InternetVista to monitor key component of our operations from the outside world for years. For just a few tens of euros per month, we get real-time alerts whenever there is an issue with reaching our multiple servers and services, way before our users notice. It's a vital component of our service level. It would take 10 or 100 times that budget to duplicate such a service internally. We also appreciate the reporting and uptime statistics that we communicate to our customers to show the reliability of our services. Comments: Clients from the very beginning, we have sinced remained loyal to InternetVista. Our servers' monitoring service gives us an external and reliable overview of our whole system. Our technical teams are warned by sms of the slightest unavailability of our site and can then intervene without delay. InternetVista has become an essential partner in maintaining the quality of our site Delcampe.net.